I wrote a guest post for Indy Fash Bash about my observations of New York City Fashion. Click the photo to check it out! Categories: Fashion | Tags: bakers, bakers shoes, Fashion, indianapolis, indianapolis fashion, indy fash bash, new york city, New York Fashion Week, NYFW, over the knee boots | Permalink. In my Travel Diary series this is TRAVEL DIARY: Day 2 A.M. – N.Y.C. I wrote a guest post for The Helen Wells Agency about my backstage experience at the Michael Kors show. Check it out! Categories: Fashion, Travel Diary | Tags: 30th anniversary, angie harmon, anuncagedbird, bodies exhibit, carmen kass, Fashion, lincoln center, Michael Kors, Morgan Sheets, new york city, New York Fashion Week, The Helen Wells Agency, theuncagedbird, uncagedbird | Permalink. FASHION : Why do I love fashion? I’ve asked myself this question many times over the years. I haven’t always loved fashion, but I have always loved clothes. Honestly, I didn’t even know what the fashion industry was all about until I got to college. Up until then I had never subscribed to or read fashion magazines and my style choices were solely prompted by the whims of my personality, my environment, and my life circumstances. Up until college clothes were something I wore to make me happy, express a mood, or to perform a specific function. I simply dressed to have fun. Not much has changed since that time except for the fact that I have grown to love and appreciate what goes on behind the scenes in the fashion industry and now I subscribe and read all the fashion magazines to see the latest creations. So, what is it that I love so much about fashion? I love its utility and ability to transform. Fashion is art that we wear every day and live our lives in. Unless you live in a nudist colony, clothes are something that we must wear every day. The beauty of that is that through clothing we have the opportunity to express a part of ourselves and our personalities. I love beautiful and functional design of all types whether it be fashion, architecture, household appliances, or furniture. Everything that we wear or use generally has a function and I love beautiful things that are useful. I’m inspired by beauty. I see it everywhere around me. Raised by an interior designer mother I was taught from an early age about good design and living in every day beauty by creating a beautiful environment. I’m not trendy and don’t feel the need to have the hottest item every season. I buy only what I fall in love with and try to keep my wardrobe simple and pared down to only the garments that I absolutely couldn’t live without. I believe in simple, clean, classic, elegant and timeless fashion. I like to have fun with how I dress but keep it classy. Clothing should be comfortable, wash and wear well, and be made of quality fabrics that last. Personally, I prefer to wear clothing that is made of mostly natural fabrics. I love wool, cotton, linen, and silk. Being stylish and looking good does not mean that you have to spend a lot of money on clothing. While I do occasionally splurge and buy a designer item for the most part I have to be more thrifty in dressing myself. My budget doesn’t allow much room for expensive purchases. Instead I love to shop at thrift stores and find nice second hand designer or vintage garments. A large portion of my wardrobe has been purchased at Goodwill. The style and grace of Audrey Hepburn has been one of my major influences in how I dress. Her simple and elegant style have always made a lasting impression with me. Wear what you love and dress to suit who you are. Fashion is a chance to share the beauty you love with the world just by wearing it in your every day life. Categories: Fashion | Tags: audrey hepburn, beauty, design, designer clothing, Fashion, fashion industry, goodwill, Inspiration, love, personal style, thrift stores | Permalink. LIFE: A dream come true – Thank you Michael Kors! Today has turned out to be one of the best days of my life. 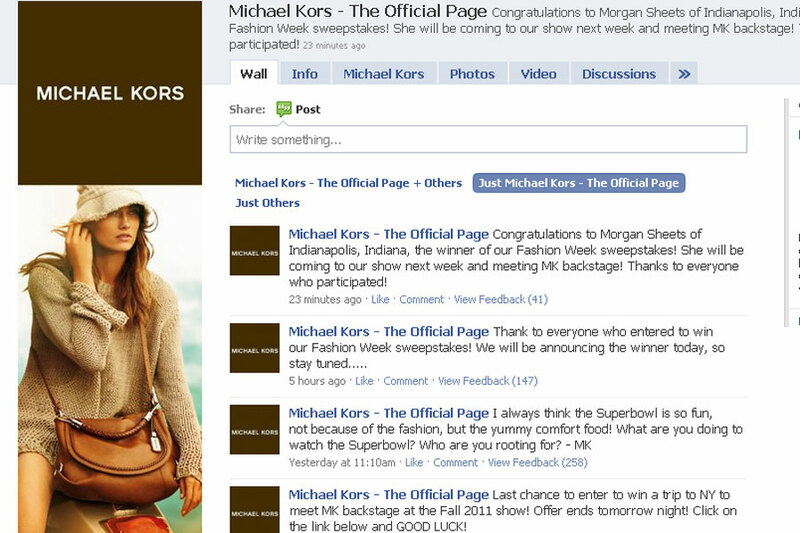 I entered Michael Kors Fashion Week Sweepstakes on Facebook awhile ago and I won! This is an absolute dream come true for me and I can’t wait to fly to New York next week to meet him and see the show at NYFW. My agency, The Helen Wells Agency, is going to let me take a flip cam to record this special time and all the moments. Stay tuned! I am going to create a travel diary to share this experience with everyone. Remember to keep dreaming, dreams do come true. Categories: Life | Tags: best day of my life, Diary, dreams, Fashion, Michael Kors, New York, New York Fashion Week, NYFW, quantum particles, The Helen Wells Agency, Travel - Shop exclusive sales., Travel Diary | Permalink.